Available in over 500 varieties, passion fruit has been around for hundreds of years. It is usually purple and looks similar to a grapefruit. And the interior is made of firm, juicy meat and several seeds. But what’s more important is the value it can add to your life – it aids diabetes treatment and even helps prevent cancer and arthritis. Well, there’s more. And you have to read on to know. What Is Passion Fruit Good For? How To Eat A Passion Fruit? What Is The Nutritional Profile Of Passion Fruit? 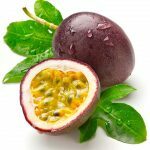 What Are The Side Effects Of Passion Fruit? Passion fruit is the fruit of the Passiflora vine, which is a type of passionflower. Hence, the name. The fruit is a boon for diabetics – thanks to the low glycemic index and the high fiber content. The fiber also enhances digestive health. And then, there are antioxidants in the fruit that boost immunity and fight various forms of cancer. You can eat the seeds too, but keep in mind that they taste tart. That’s the goodness of passion fruit in a nutshell. And now, we get into the details. The low glycemic index (GI) and high fiber content of the fruit make it a hit with diabetics. The fruit is also rich in pectin, a type of fiber that keeps you full without increasing your calorie intake. Thanks to the high fiber, the sugar in the fruit is slowly absorbed into the bloodstream, and this prevents sugar crashes and cravings. Studies show that passion fruit may be used as a dietary supplement for diabetes treatment due to its hypoglycemic potential (1). The fruit can also lower bad cholesterol and improve the functioning of insulin. It is replete with antioxidants that fight the cancer-causing free radicals. It also contains vitamin A, flavonoids, and other phenolic compounds that help prevent cancer. One such compound in the fruit is chrysin, which showed anticancer activities (2). Piceatannol, another important compound in passion fruit, was found to kill colorectal cancer cells. The fruit also contains vitamin C. Being the most powerful antioxidant, vitamin C eliminates free radicals from the body and prevents diseases like cancer. Passion fruit is also rich in potassium, an important mineral that regulates blood pressure levels. It relaxes the blood vessels and enhances blood flow. 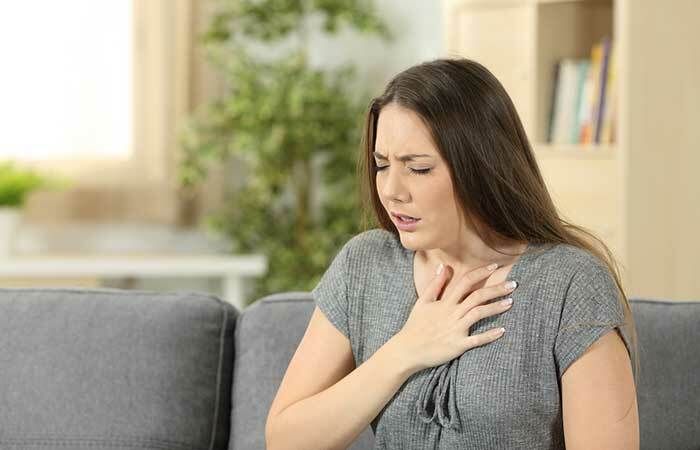 This reduces heart strain and improves overall heart health. More importantly, the movement between the body’s membranes is often allowed only through channels regulated by potassium – which is another reason this mineral is so crucial. One American study states that the extract of the passion fruit peel can be used as a remedy for hypertension (3). The piceatannol in passion fruit, as per studies, helps lower blood pressure levels (4). Passion fruit contains vitamin C, carotene, and cryptoxanthin, all of which help boost the immune system. Vitamin C also stimulates white blood cell activity, and this means a stronger immune system and prevention of common ailments. Passion fruit is an ideal addition to a digestive-friendly diet as it is a great source of fiber. The fruit contains soluble fiber, both in its pulp and the rind, which acts as a laxative and improves bowel movement. This dietary fiber helps prevent constipation and reduces total cholesterol levels by excreting it through feces. The potassium and folate in passion fruit are responsible for this. While the former enhances blood flow and cognition, the latter prevents Alzheimer’s and cognitive decline. Some sources state that the fruit can also help reduce anxiety. Being rich in minerals like magnesium, calcium, iron, and phosphorus makes consuming passion fruit one very good way to complement the effects of other bone-strengthening foods. These minerals, when taken along with other rich sources (like green veggies and milk), maintain bone density and even prevent osteoporosis. Studies have shown that passion fruit peel extract also has anti-inflammatory properties, which can be put to good use to relieve arthritis symptoms (5). The novel mixture of bioflavonoids in passion fruit can have positive effects on the respiratory system. Studies show that the fruit extracts can help ease asthma, wheezing, and even whooping cough. One American study also talks about how we can use the passion fruit peel extract to relieve asthma (6). The fruit contains harman, a sedative compound. Studies have shown that passion fruit has been used to treat insomnia and restlessness. The potassium in passion fruit has vasodilation properties. And when combined with the iron and copper in the fruit, things work best. Iron and copper are essential components involved in the production of red blood cells. When the RBC count increases, the blood can flow more easily. The folate in passion fruit helps in the growth and development of the fetus and prevents neural tube defects in infants. Folate is crucial before and during pregnancy, and during breastfeeding, its need only goes up. The fruit also boosts immunity and bone health during pregnancy. Though there is less research on this, some studies suggest that the fiber in the fruit can help one lose weight and aid weight management too. The fruit is a great source of vitamin A, one nutrient particularly beneficial for the skin. The other antioxidants in the fruit, like vitamin C, riboflavin, and carotene, also boost skin health and complexion and delay the signs of aging. These are the benefits of passion fruit. But ever wondered how you can eat it? You simply have to cut the fruit in half with a sharp knife. Scoop out the insides (along with the seeds) with a spoon and eat the fruit plain. The membrane that separates the seeds from the peel can be tart – you can sprinkle some sugar on it and eat it. But ensure you don’t eat the skin as it contains a small amount of cyanogenic glycosides (sources of cyanide). There are more nutrients in passion fruit than we have spoken about here. Let’s take a look at them. That’s great. But did you know that this fruit also has certain undesirable effects? 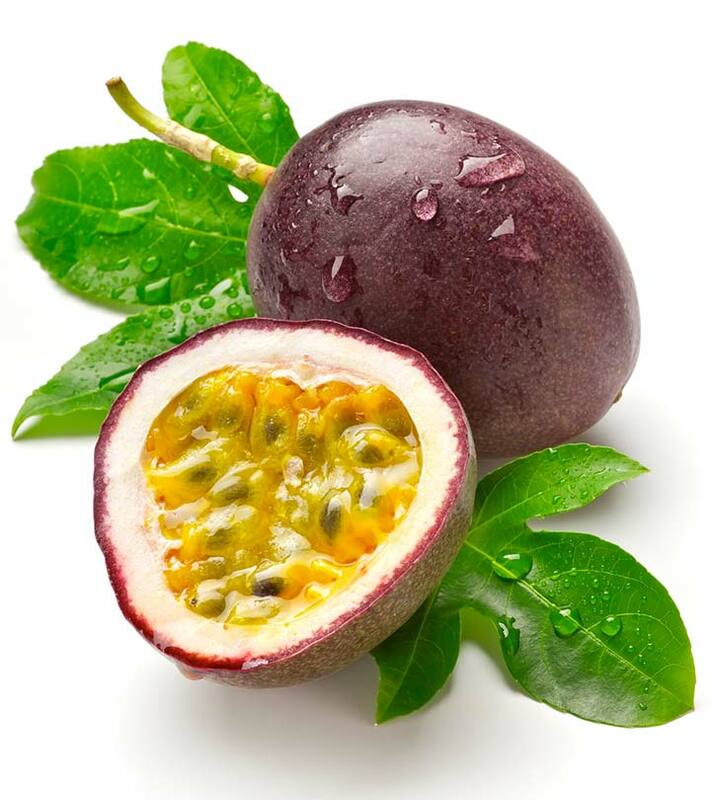 Though passion fruit can be beneficial during pregnancy (as we had stated), studies state that passionflower must not be taken during pregnancy or breastfeeding. Hence, please consult your doctor in this aspect. Since the fruit can stimulate the central nervous system, it might interfere with anesthesia during surgery. Stop consuming it at least two weeks before a scheduled surgery. The fruit could be available in several varieties, but that is not the reason one must take it seriously. It’s the benefits. Include passion fruit in your diet today. Also, tell us how this post has helped you. Just leave a comment in the box below. What are the most popular passion fruit varieties in the world? The most popular varieties of this fruit include the yellow passion fruit, the purple passion fruit, the sweet passion fruit, and the banana passion fruit. How do you know when a passion fruit is ready to eat? The yellow variety will be deeply golden while the purple variety will be almost black. The fruits must be slightly wrinkled, indicating they are super ripe. How long does a passion fruit take to grow? If planted in early spring, it takes 6 months. If planted in autumn, the fruit can take 12 months to grow. What is the passion fruit called in other languages? Passion fruit is called junoon ka phal in Hindi, maracuya in Spanish, maracuja in Portuguese, and fruit de la passion in French. 1. “The intake of fiber…”. US National Library of Medicine. 2. “Natural polyphenols for prevention…”. US National Library of Medicine. 3. 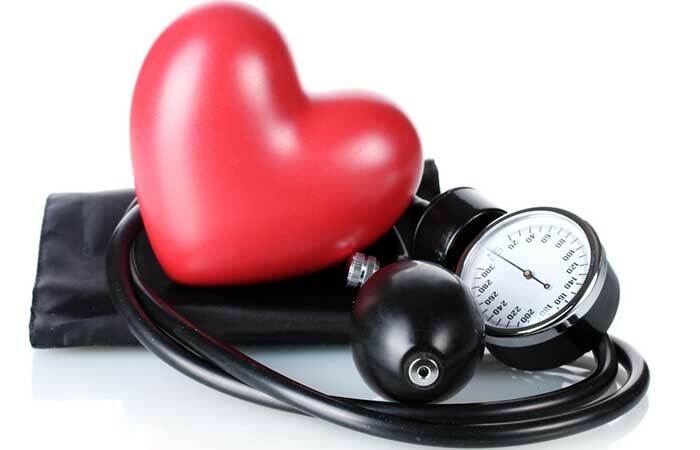 “Antihypertensive effect of passion…”. US National Library of Medicine. 4. “The effect of piceatannol…”. US National Library of Medicine. 5. “Antioxidant and anti-inflammatory…”. 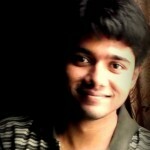 ScienceDirect. 6. “Oral administration of the purple…”. US National Library of Medicine. How Is Papaya Good For Diabetics? Nutrition And Benefits Of Carob: The Best Cocoa Substitute Ever!